only the litters of CLUB MEMBERS will be listed on this page. Club members may advertise their litters FREE OF CHARGE by submitting details to Maureen Timmins. 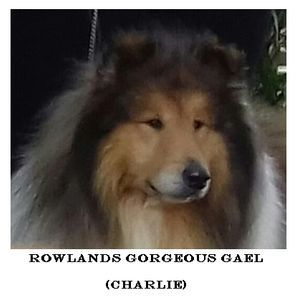 Their dam (Bonnettsrath Fossey Dancer) is a family pet and her sire is our well known Charlie (Rowlands Gorgeous Gael) who is currently on the show circuit. Charlie is just waiting for one more Green Star to gain his Irish Champion title. 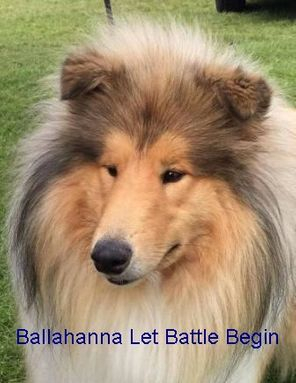 The sire of this litter is Henry (Ballahanna Let Battle Begin Jun Ch). Henry is a stunning dog who's pedigree lists some of the best of British champion lines. Phone Marie 0873493726 for details.